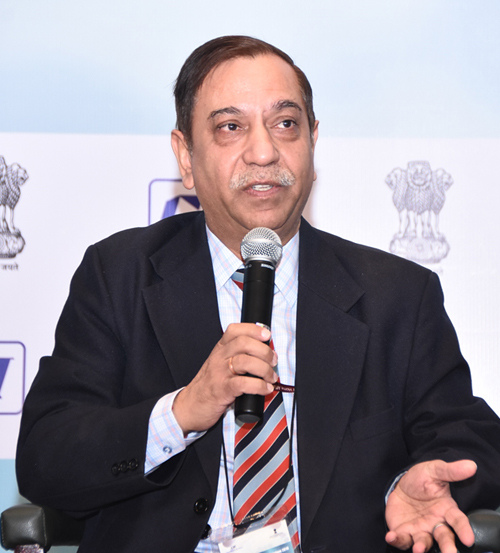 Dr R.K. Vats is the Additional Secretary to the Government of India and handling the works related to food and drugs administration in the Ministry of Health & Family welfare, Government of India, along with administration of Central Government Health Scheme as Director General. He has handled the works related to Health & Family Welfare Department in the State Government also as Principal Secretary. He is a Medical Professional by education and has experience of working in Radiotherapy Department for 3 years before joining the administration. 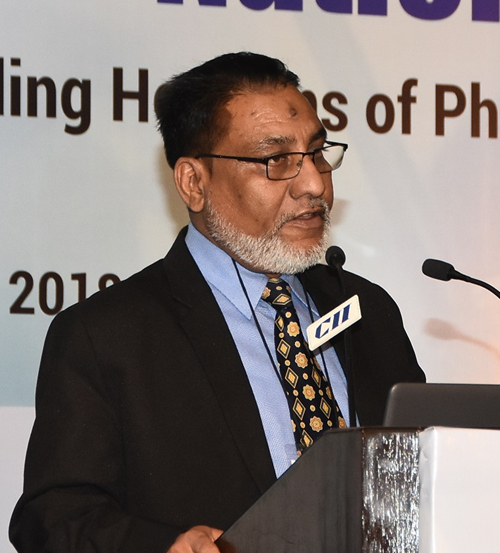 Recent initiatives of the Ministry of Health in policy related to drugs, medical devices, epharmacy, clinical trials and food standards are his priority work areas for implementation of these policy initiatives under “Ease of Doing Business”. He is looking forward to valuable interaction with the participants. 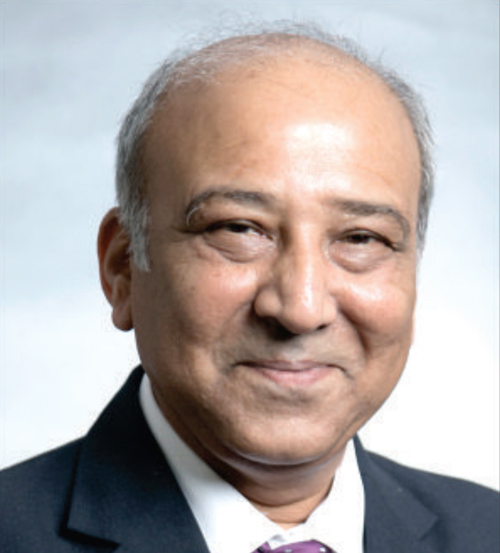 Srini Srinivasan has over 30 years of experience with senior leadership roles in General Management, Commercial, Manufacturing and R&D in innovative medicines, branded generics and vaccines businesses at Pfizer, Novartis, GSK and Astra. 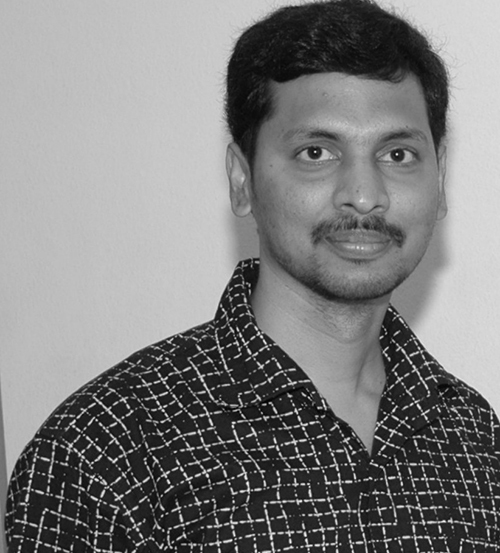 Srini lived and worked in several countries across Europe, USA and Asia and is currently based at Chennai, India. He holds a degree in Pharmacy from Madras Medical College in India, an MBA from London Business School in the UK and has received training in Advanced Finance at Harvard Business School in the USA. Satish Reddy is the Chairman of Dr. Reddy’s Laboratories. He joined the company in 1993 as Executive Director and since then has held positions of increasing responsibility as Managing Director in 1997 and Vice-Chairman & Managing Director in 2013. 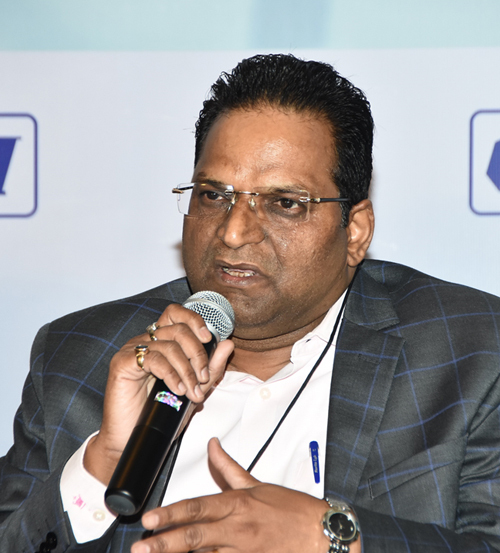 Satish led the organisation’s transition from a unifocused manufacturer of APIs (active pharmaceutical ingredients) to a company that moved up the value-chain with a diverse product portfolio of Finished Dosage Formulations. 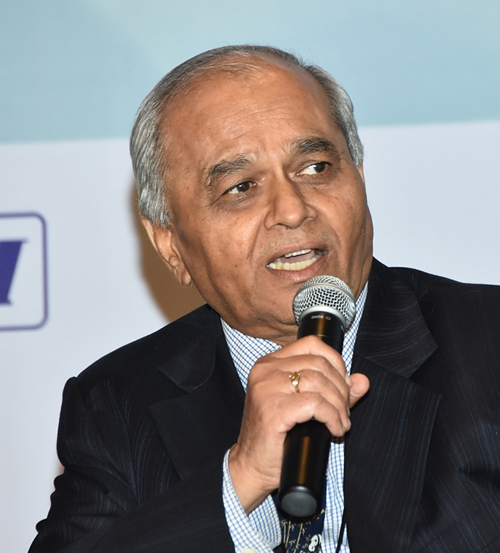 He oversaw the expansion and establishing of a strong footprint for Dr. Reddy’s fnished dosage products in Russia, CIS countries and other emerging markets. 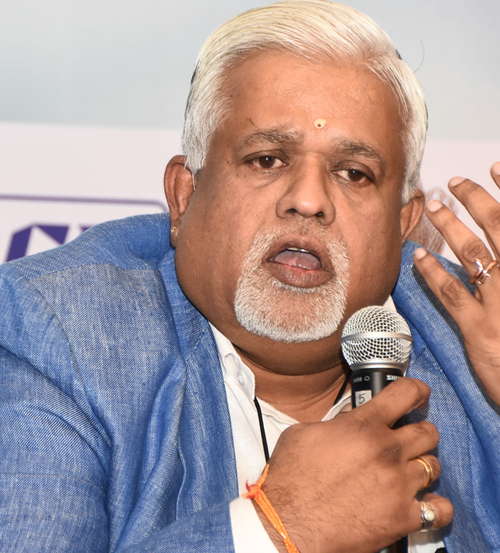 He was a member of the Drugs Technical Advisory Board of India, the Chairman of the Andhra Pradesh Chapter of the Confederation of Indian Industries (CII) and head of its National Committee on Pharmaceuticals. He was the President of the Indian Pharmaceutical Alliance, a premier industry association of leading research based Indian companies. Dr Nagpal is the Chairman and Director General, Amity University Middle East responsible for promotion of Amity education in the MENA region, Chairman of Board of Governors, Ritnand Balved Medical Foundation, the umbrella organization for Amity Schools of Medicine & Allied Sciences, and Chairman, Amity PACIFIC Forum, responsible for Industry Connect. 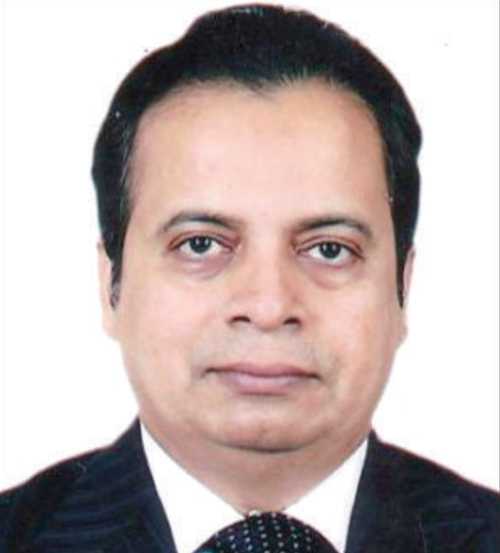 Dr Ajit K Nagpal is a graduate of All India Institute of Medical Sciences and Harvard School of Public Health with preparation in Medicine, Hospital Administration and Health Policy and Management. His principal interests include global and national health policy, financing of health services, regional health planning, and hospital development. 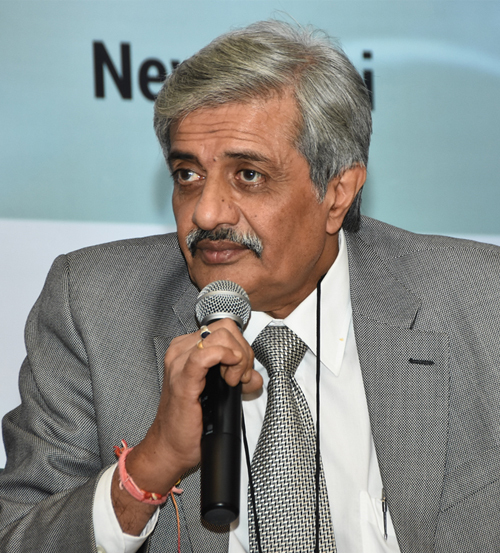 In Public domain, Dr Nagpal is the Convener of the Task Force on Health Sector Reforms for the State of Jammu & Kashmir, and a Founder Trustee and Member Governing Board of the Apka Swasthya Bima Trust of the Government of NCT. Srinivasa Rao, who heads the Health and Nutrition vertical for Dr. Reddy’s Foundation, is a qualified and recognized social development sector expert in his primary focus areas of maternal and child health and nutrition. In these areas, his expertise lies in the areas of strengthening health systems and health care service delivery. As part of this endeavor, he has consistently driven relentless efforts on the relevant aspects which are expected to provide a fillip to the health sector personnel and it’s beneficiaries through a multi-pronged approach involving advocacy, capacity building, partnership management and program assessment through monitoring and evaluation. He has been a key contributor to the standardization and scale up interventions, preparation of content, methodology and tools for the capacity-building of various stakeholders of the health systems. Srinivasa Rao leads multiple programmes for Dr. Reddy’s Foundation in the thematic areas of Health and Nutrition involving system strengthening of the Indian Primary Healthcare system, imparting High Quality Health Care Skilling to tribal youth to enable them to take up roles in health care. 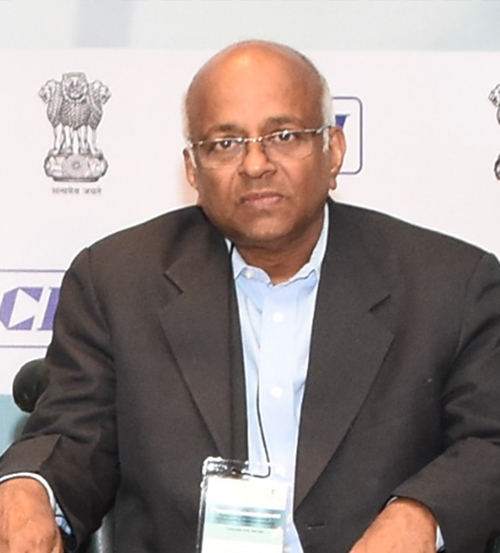 Shri V.K.M.Parthiban, is Outstanding Scientist and Executive Director (Operations) of Heavy Water Board (HWB), an industrial unit of the Department of Atomic Energy. As Executive Director (Operations), Shri Parthiban is responsible for the smooth and efficient operation of Heavy Water plant Manuguru, Thal and Tuticorin and other plants (for diversification activities) located at Baroda and Manuguru. He is leading the diversification activities of the HWB including, production of Sodium, Oxygen-18, and enriched Boron & B4C, in addition to the production of deuterated compounds for societal and industrial applications. Shri Parthiban graduated from Annamalai University, Tamil Nadu in Chemical Engineering in 1982. He joined the 26th batch of Training School and subsequent to the completion of training in 1983 was posted in Design and Engineering Group of Heavy Water Board. He was involved in Design, Engineering and Project execution of country’s largest Heavy Water Plant at Manuguru. Subsequently, he has worked at HWP, Manuguru in various capacities from Shift Supdt. to Dy. General Manager (Process). Later on, he assumed the charge of Chief General Manager at HWP, Baroda. Presently, working in the capacity of Executive Director(Operation) at HWB (Central Office), Mumbai. His area of expertise has been cost reduction of heavy water by way of reducing the energy consumption of the plants. Presently he is working on the development of sodium production technology by closed cell. He has been decorated with prestigious award - DAE Group Achievement Award twice. Dr V G Somani, M Pharm, Ph.D in (Pharmaceutical Sciences) from Nagpur University, Nagpur, India, presently working as a Joint Drugs Controller (India) in CDSCO (HQ), MoHFW, DGHS, Govt. of India heading the Divisions of regulation of Medical Devices & In vitro diagnostics, Stem cells & Blood Products, New Drugs (which are Subsequent & Fixed Dose Combination), Has earlier also worked as JDC(I) heading the divisions of Biologicals, Clinical Trial, New Drugs, Cosmetics, Enforcements etc for last more than nine years. He is primarily involved in dossier assessment, monitoring and framing of proposals for amendments in Rules, policies and guidelines. Prior to this he has Officiated as Drugs Controller General (India) on additional charge (Central Government of India) from 3rd Nov 2011 to 2nd Feb 2012. He also worked as ‘Deputy Drugs Controller (I), Assistant Drugs Controller (I) and Drugs Inspector at CDSCO in various zonal offices like West Zone Mumbai, Ahmadabad, East Zone Kolkata, HQ New Delhi while conducting and monitoring GMP, GCP and GLP inspection.He has also worked in Pharmaceutical Production & Development in Industry. And was also involved in teaching to M. Pharm and B. Pharma students during doctorate studies. Developer of modern methods of rapid diagnosis of TB, leprosy , DNA chips; DNA fingerprinting methods etc. ; contributed to expansion of mandate of JALMA from leprosy to all mycobacterial diseases. 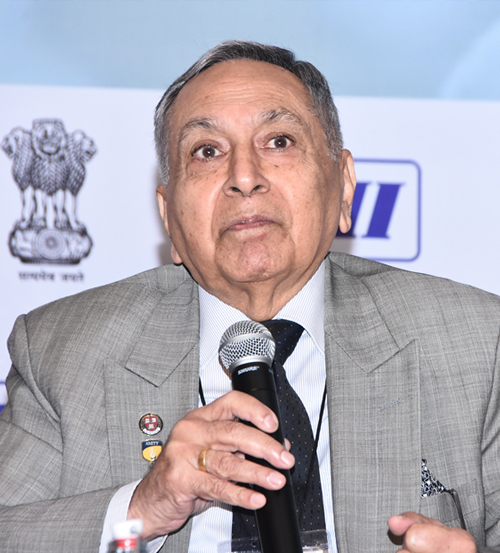 During his years at ICMR (10th function of DHR) and now 107 year old (established 1911) reputed autonomous organization, which saw a major drive towards modernization earlier, gave major thrust on innovation and translation; Environmental Health; establishment of Tribal Health Research forum with focus on tribal and marginalized communities; Vector Borne Diseases Forum etc. 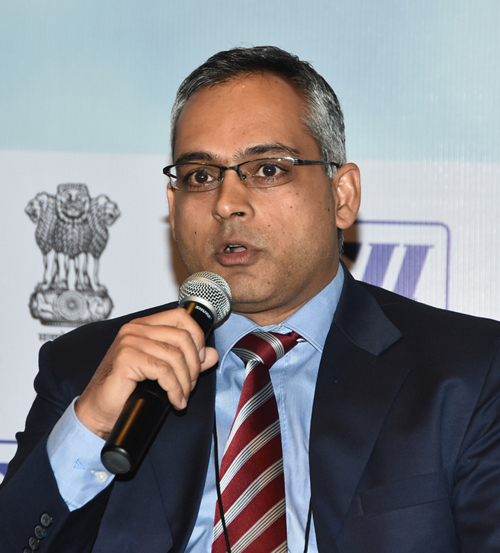 Biswajit Mitra is currently the Chief Mentoring Officer for Cadila Pharmaceuticals. Biswajit holds Bachelor degrees in Chemistry and Chemical Engineering. He is also a Chartered Engineer and holds a degree in Operation Management. Biswajit brings with him 30 years of experience in Life Sciences, managing Pharmaceutical products and services, business globally- with an emphasis on business/ operational excellence, strategy, technology management, Programme management/CRM, geographical expansion of business in the area of Active Pharma Ingredients, Custom Developement and Manufacturing of pharmaceuticals. Biswajit has previously held senior management positions in European Multinationals, British American joint venture company and leading business houses in India, e.g Sandoz, Novartis, Laporte UK, Nicholas Piramal, Dr Reddy’s, Jubilant and Chemo Pharmaceuticals in Spain. 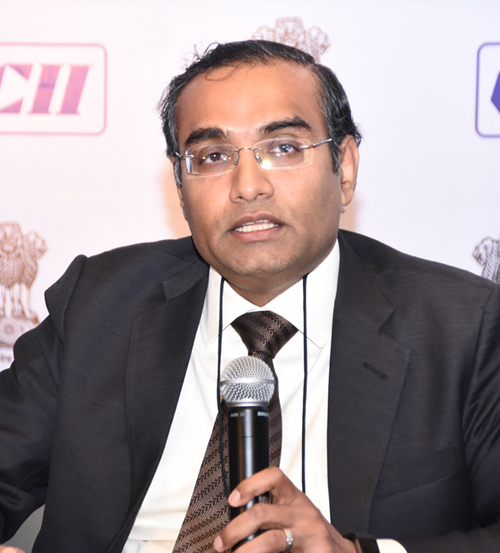 He is the recipient of various international and national awards such as Golden Peacock award 2010 in London, Platinum award in Indian and Asian Manufacturing excellence ( world class Manufacturing) and various other awards. 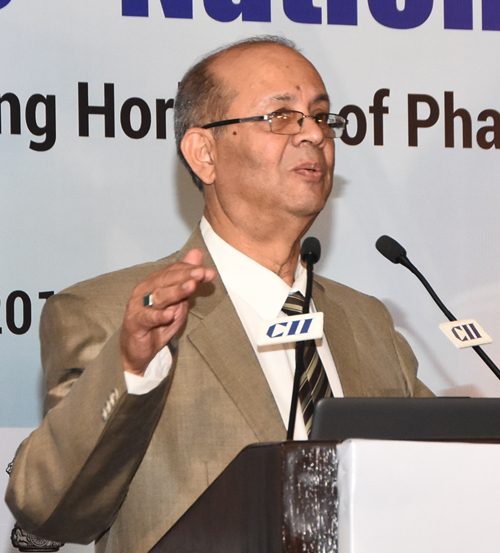 Biswajit is the past chairman of CII south and Board of Director of International Society of Pharmaceutical Engineering (ISPE). Dr Sankar Iyer who is the Founder/CEO of SYNMR chemicals Pvt Ltd., Bangalore obtained his undergraduate education from India. He joined for Postgraduate Studies under the Commonwealth University Scholarship Scheme at Flinders University of South Australia and obtained his Ph.D degree in organic Chemistry in the year 1985. He spend two years of Post Doctoral Research Fellowship at University of Colorado, Boulder with Professor Stanley J Cristol before joining as Discovery Chemist with Merck & Co USA. After spending nearly 10 years at their research Centre, he moved to India and served as Head of Research at Merind India Ltd. In the year 2000 he joined as Vice President R&D with Hikal Ltd and later moved to Strides Arco Lab, Bangalore as Head of Research. He has over 25 publications in international journals and over 10 patents to his credit. Currently he is actively involved in collaborative research with Heavy Water Board and Indian Institute of Science, Bangalore in the field of deuterium for Pharmaceutical Applications. 22 Years Own Business. 1997 onwards of Pharmaceuticals, Imports, Exports, Manufacturing, Trading, Indenting, Marketing, Printing & Packaging. 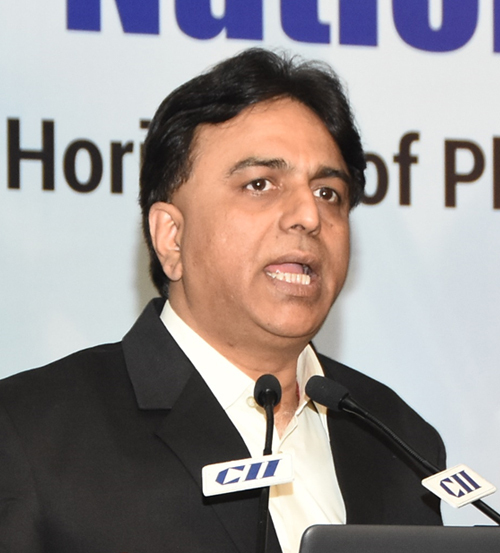 Vice-Chairman, Confederation of Indian Pharmaceutical Industry (CIPI), which represents SME. Indian Drug Manufacturers Association (IDMA) has given him “President’s Award” for his “Fine initiative in representing important matters of the Indian Pharmaceutical Industry at Delhi. Indian Pharmacy Graduates Association has given him award of “Resource Person”. Mr Sheth born in Addis Ababa and had his early education in Addis Ababa, Ethiopia. He has done graduation from College of Pharmacy, Manipal, Karnataka 1979. He started his career as a middle management cadre with Mysore Industrial and Testing Laboratories, Bangalore, which got merged with Astra Zeneca Limited. He Joined Smithkline Beecham Pharmaceuticals, currently part of Glaxo Smithkline, as a Senior Management cadre, In-charge of production of Pharma products 1982 to 1989. He also established Srushti Pharmaceuticals Pvt Ltd., Bangalore, in the year 1990, and has been the promoter director since then. Has been very actively associated with Karnataka Drugs and Pharmaceuticals Manufacturers’ Association since twenty years, and has the credit of holding all the key posts of treasurer, Joint Secretary, Secretary and the President, Pharmexcil office in Bangalore within the premises of KDPMA office established during this period. 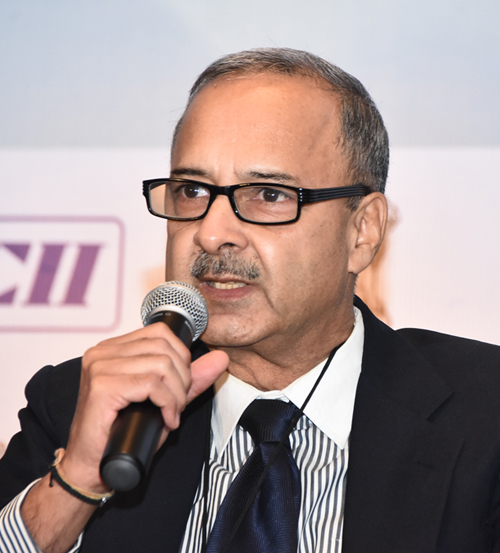 Mr C V Venkataraman, started his career in Lupin in 1982 and over the period has worked in various department, viz., Costing, Finance, Internal Audit, Export logistics, International collaboration and presently based in Delhi looking after Govt. affairs. A post graduate in commerce with management as special subject, has immensely contributed to the company as well as pharma industry in various spheres. An executive committee member of all leading Pharma association viz. IDMA, BDMA etc. Over 37 years Experience in Pharma, All along worked with Global MNCs (Burroughs Wellcome, GlaxoSmithKline, Merck, Takeda). Trained at IIM Ahmedabad , Bengaluru , & INSEAD Singapore. Member Leadership Excellence of Harvard Business Square. 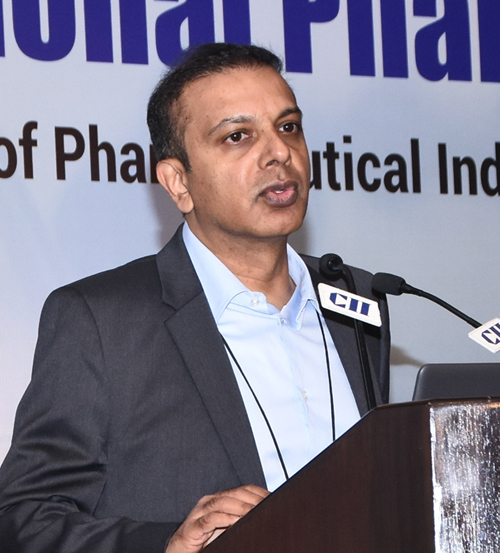 Executive Committee Member of OPPI, CII National Committee on Pharma. Invited Speaker at Various Healthcare Conferences, Pharma Logistics & Jury Member of Packaging. Dr K Bangarurajan did his Degree in Pharmacy from Madras Medical College, and M. Pharmacy, from Banaras Hindu University, Varanasi in the Year 1984 and was awarded Ph.D. by Tamil Nadu Dr. MGR Medical University in the Year 2000. He joined the Drugs Control Department, Tamil Nadu, in the Year 1986 as a Drugs Inspector and served as a Senior Drugs Inspector and Assistant Director of Drugs Control. He joined the Central Drugs Standard Control Organization, New Delhi in the Year 2010 and from 2014 to 2017 he is posted at Central Drugs Standard Control Organization, West Zone, Mumbai and has the overall charge of Western region responsible for uniform implementation of the provisions of the Drugs & Cosmetics Act and rules thereunder. 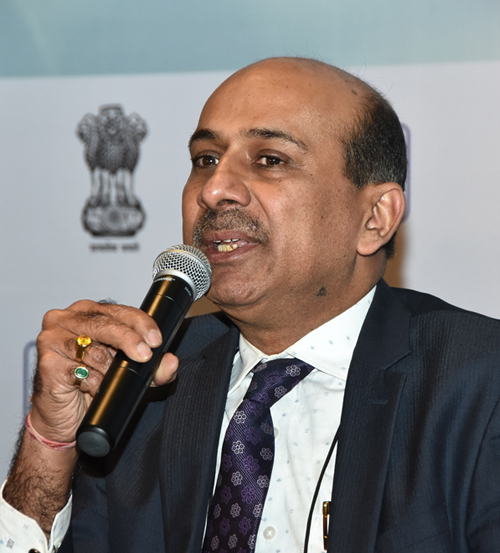 At present he is serving as Joint Drugs Controller (India), CDSCO, New Delhi. Mr Jayant Dwivedy is Executive Director & COO of USV Private Limited. He is an M.Tech from IIT, Kharagpur. Mr Dwivedy has more than 25 years of rich experience in Manufacturing and Operations, Global Supply Chain, Quality and Compliance Management, Business Process Re-Engineering, Project Management, ERP, Corporate Training & Development. He has keen interest in Management Systems, Operations and People Development. His earlier organizations include GlaxoSmithKline Pharmaceuticals, Piramal Healthcare and Meiji Medreich. He has won several awards and is invited to speak at various forums. He has received media coverage in CNBC, Economic Times and Business world as an expert in Pharmaceutical business management. 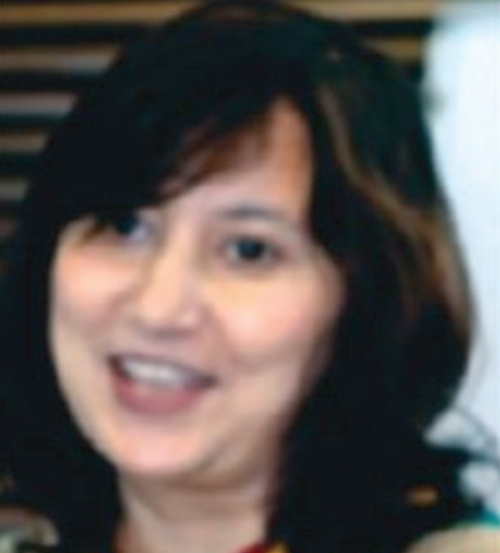 Dr Madhur Gupta has done Doctorate (OM) in Clinical Pharmacology from All India Institute of Medical Sciences and MD in Pharmacology from Lady Hardinge Medical College, Delhi. 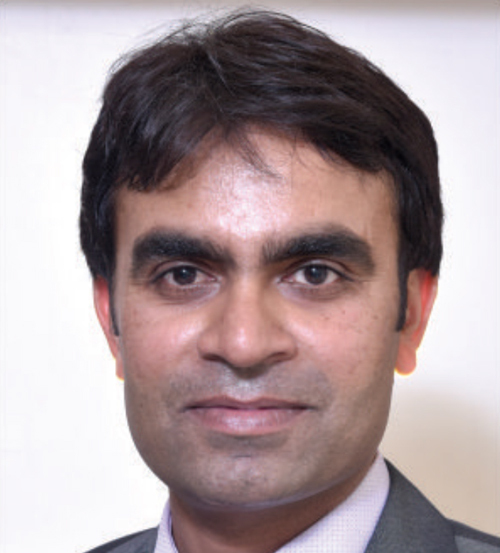 Dr Gupta is currently working as Technical Officer (Pharmaceuticals) with the Office of the WHO Representative to India. As Technical Officer (Pharmaceuticals}, her responsibilities include providing policy advice, technical and managerial support to the development and implementation of WCO-l ndia biennial work-plans in the area of pharmaceuticals (including vaccines, pharmaceuticals, medical devices and diagnostics). She has provided strategic direction, technical and managerial support to the development and implementation of the activities in the Pharmaceuticals Area in WHO India. 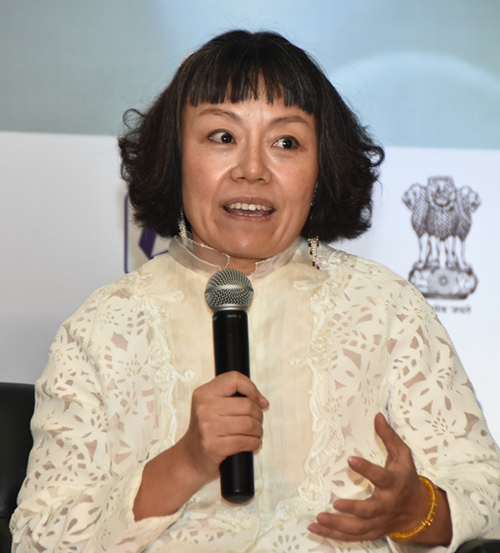 She has also been engaged in supporting the implementation of the Institutional Development Plan for NRA Strengthening in India, including strengthen ing Adverse Events Following Immunization (AEFI) Surveillance. She has been instrumental in strengthening the technical support for preparation of guidelines, manuals and reference documents related to drug policy implementation, including capacity building of national regulatory authorities to improve access to medical products, providing support for strengthening of vigilance of medical products including integrated reporting on medical product safety for TB, HIVAIDS, NTDs, vaccines, and as a facilitator for the Working Group on Vigilance for medical products under the South East Asia Regulatory Network. She has been pivotal to foster research and innovation, in the context of access to medical products, and support for the free drugs and diagnostics in India,essential medicines and diagnostics lists in India,and the inter-alia support for cross cutting areas for rational use of medical products. 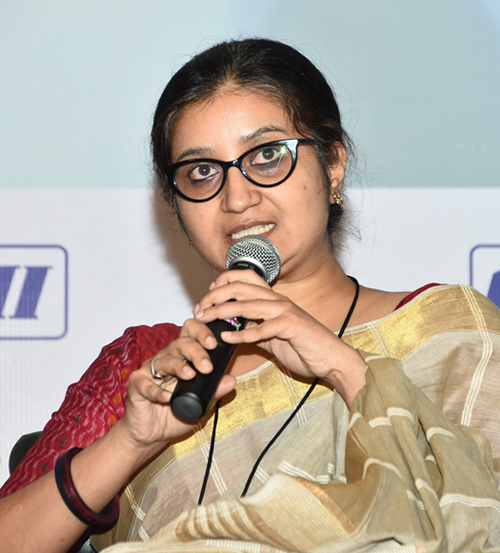 Sayanti Chakrabarti is Joint Director in the Economics Division of the Competition Commission of India, where she is responsible for carrying out economic analysis of antitrust and merger cases. She has also contributed to several research outputs of the Division on competition law and policy. 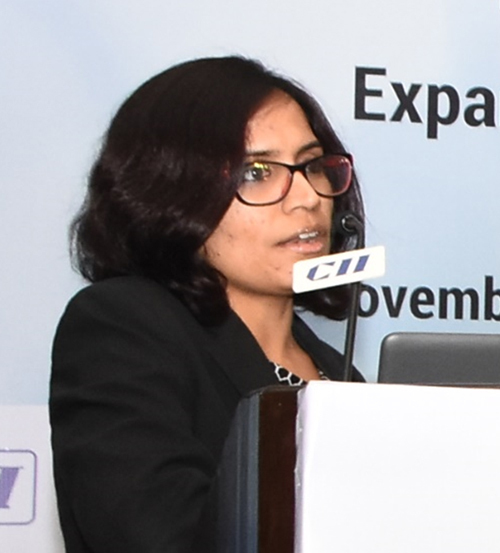 Prior to joining the CCI in 2010, Sayanti worked with the Economic Affairs Team of the Federation of Indian Chambers of Commerce and Industry, where she contributed to a number of surveys and studies on issues of importance to the Indian business and economy. She holds an MSc in Economics from Presidency College, Calcutta University. Mr Marthak is member of Pharma Committee as well as Biotechnology Committee of CII and Vice Chairman Medical Committee –IDMA. At present he is also member of the Board of Director in Lambda Therapeutic Research Ltd.He is in charge of Global Clinical development program of NCEs and Regulatory Affairs. He was a founder member and Board member of a CRO- Veeda CR. He has vast experience of Clinical Research including Pharmacovigilance - more than 35 yrs. 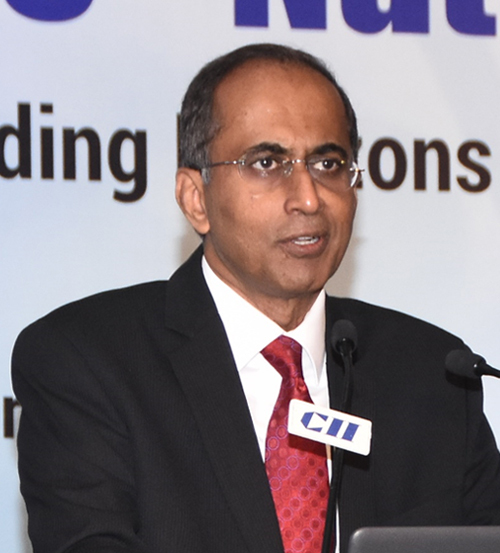 He had occupied Senior Management positions in MNCs like, Novartis, German Remedies, Pfizer, Ranbaxy and GSK. Dr Azadar Khan currently heads India Regulatory Affairs, Corporate Relations, and Clinical Research function for products meant for the Indian market at Sun Pharmaceutical Industries Limited. He is an Industry veteran, carries over 38 years of rich experience in Pharmaceutical Industry encompassing domain of Human Resources, Corporate Relations, Corporate Social Responsibility, Regulatory Affairs, and compliance. 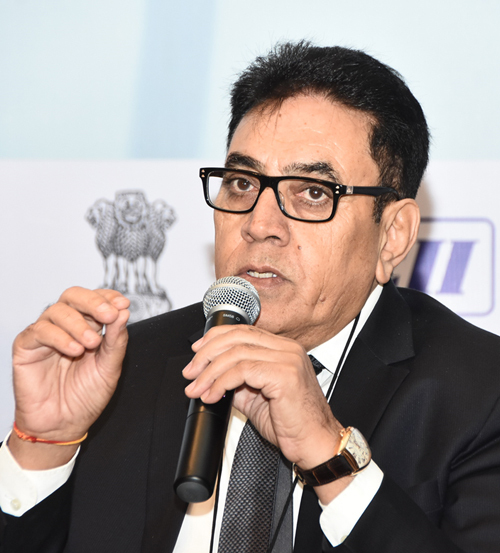 He has represented Sun Pharmaceutical Industries Ltd., as well as Indian Pharmaceutical Industries at various forums of the policy makers/stakeholders and provided advisory for the smooth functioning and overall growth of the industry. He has been conferred Honorary Doctoral Awards (Honoris Causa) in the field of Management, by the Governing Council of Confederation of International Accreditation Commission in affiliation with KEISIE International University-KIU, South Korea. Siddharth has 15 years of experience in Corporate & Investment Banking with international banks such as HSBC and Citibank. His experience has been based around structuring corporate banking transaction & funding solutions for global corporates investing in India. At Invest India, Siddharth manages the foreign investor outreach & facilitation teams as well as key sector-focused teams. He is a Master of Business Administration from Faculty of Management Studies, Delhi University and a Bachelor of Economics from Sri Ram College of Commerce, University of Delhi. 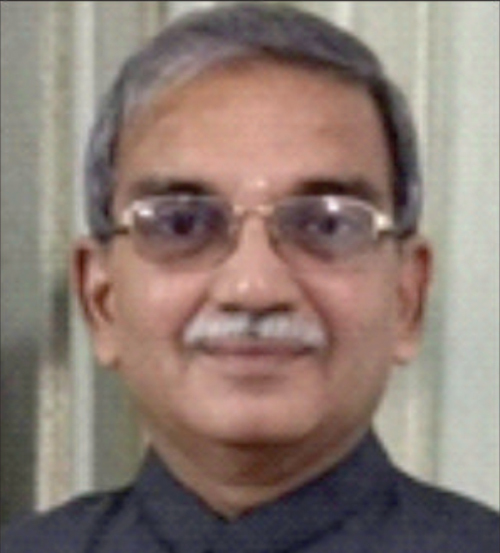 Mr Saxena is associated with Pharmaceutical Industry for almost 33 years in various roles & responsibilities. After studying Chemistry, started career in Quality Control Department of a Delhi based pharmaceutical company. Subsequently got opportunity to work in upcoming Delhi based export house dealing in pharmaceutical formulations by taking care of their contract manufacturing and planning activities. For last 14 years, He is associated with Mankind Pharma Limited and heading their business Development & Planning department. Surajit Roy is currently heading the Apprenticeship Division of National Skill Development Corporation (NSDC). He is a student of Mayo College, Ajmer and a Post Graduate in Social Sciences from St Stephens College Delhi. Having a work experience of nearly 30 years, he has served both in the govt and the private sector. He was a Civil Servant for over 23 years and has served the Govt. of Delhi & Andaman & Nicobar Islands Administration over the time. 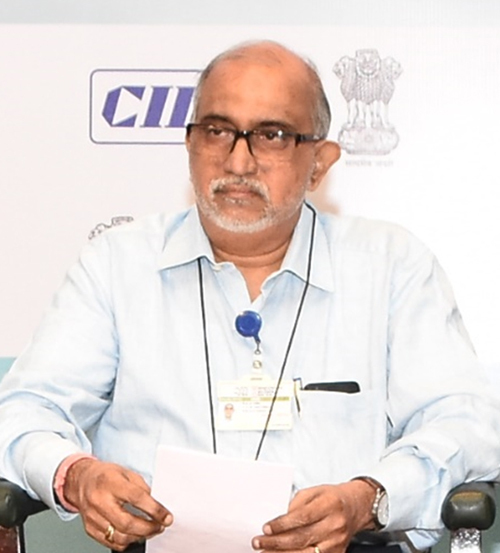 While in the civil services he held several Senior & Middle Management positions in various departments including that of Director Commercial Lands DDA for 4 years in the capacity of a Collector of Excise, Director Welfare and Mission Director National Health Mission. The Apprenticeship program, which he is heading at NSDC today Is a government program that is being implemented by him and his team, currently, bridging the gap between industry and workers to create a skilled and industry-experienced youth that can be readily employable to have a stable future. 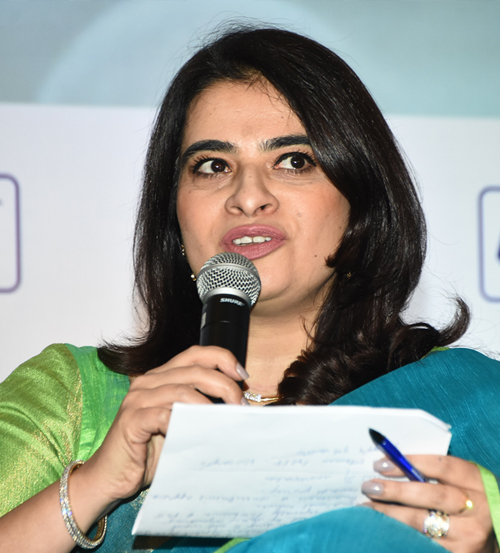 Jyotsna Ghoshal is Senior Director for Corporate Affairs at MSD in India and is responsible for Policy, Government Affairs, CSR and Corporate Communications for the India region. Jyotsna joined MSD in India in 2008 as Head of Corporate Communications and took charge of the combined Corporate Affairs and Corporate Communications function in February 2016. She is a proficient communications professional with around 20 years of work experience in public relations (PR), stakeholder management & corporate communications across multinational and Indian companies and PR consultancies. Prior to joining MSD, Jyotsna worked with LINOpinion as Communication Director and has also been the Head of Group Corporate Communications at TATA POWER (NDPL) previously. Jyotsna is a graduate with B.A (Hons.) in English and she also holds a P.G. Diploma in Advertising and Public Relations. Parijat Ghosh is a partner based in Bain & Company’s New Delhi office. He leads the firm’s Asia Pacific Results Delivery® practice and is also an expert in the Healthcare and Advanced Manufacturing & Services practices. He has almost 20 years of management consulting experience throughout India, the United States and Europe. He holds deep expertise in growth strategy, sales and marketing, innovation, organization design, executive development and strategy implementation. He also has substantial industry experience in automotive and building products. Parijat earned an MBA from IIM Ahmedabad and holds a graduate degree in B. Tech (Honors) in Manufacturing Science and Engineering from the Indian Institute Technology, Kharagpur. Milan Paleja is Country President, Novartis in India and also responsible for the pharmaceuticals business in the country. Milan Paleja joined Sandoz India in 1984 in the Finance function. He has gained a wealth of experience over the years having held positions of increasing responsibility in Consumer Health and Pharmaceuticals, at country and regional level, in diverse geographies such as Singapore, South Africa, North Africa and Switzerland. Since March 2016, he was Country President and Head Pharmaceuticals, Novartis Indonesia. While in Indonesia, he pioneered innovative access models, turned around the business and laid the foundation for future growth. 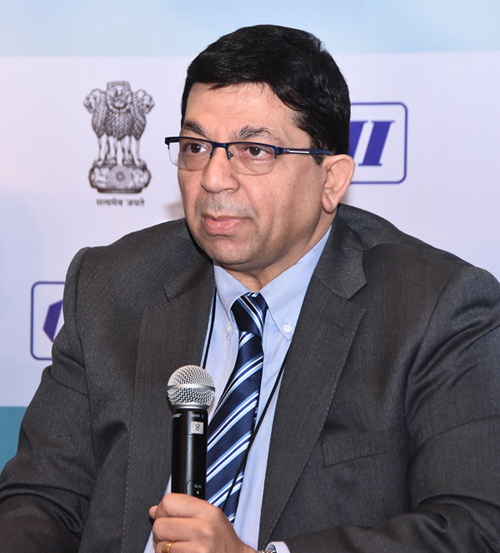 He is currently on the Executive Committee of the Organisation of Pharmaceutical Producers of India (OPPI), sits on CII’s National Committee on Pharmaceuticals and also chairs the Pharma Committee for the European Business Group’s Mumbai chapter. Milan is a graduate in Commerce from Bombay University and holds a Cost Accountants degree from the Institute of Cost Accountants of India. 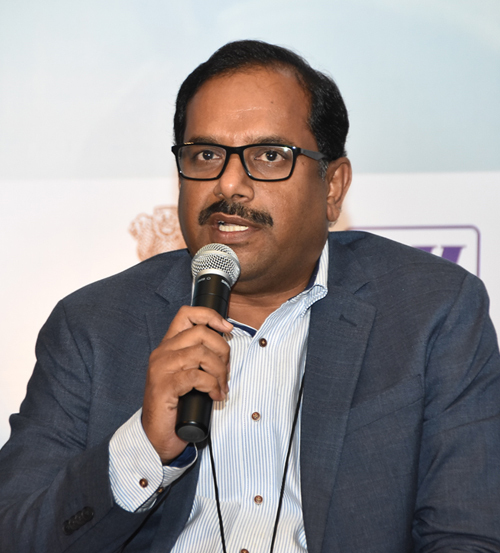 Mr Dayakar Reddy P is performance driven professional with 20+ years of rich experience in the area of technical training, engineering, maintenance and infrastructure projects management in top Pharmaceutical Industries in India. He is B.Tech – Mechanical Engineering & M.Tech – Environmental Management. He has worked in Dr Reddy’s Labs, Aurobindo Pharma, Piramal Healthcare & Hetero Drugs. Designing training requirements for pharmaceutical industries. Managing and organizing all the training needs to meet functional, GMP, Safety and Quality needs of all roles in all departments. Controlling engineering, maintenance and project related activities in pharmaceutical and bio-pharmaceutical industries. Independently manage the operations and maintenance of large scale API (Bulk drug) facilities and Bio-pharmaceutical facilities. Institutionalized latest commissioning and qualification practices to suite any customer / regulatory agencies. Championed the implementation of safety initiatives like contractor safety management, LOTO, Electrical standards, Incident Investigation, etc. Gagan joined AstraZeneca India in February 2006. Gagan held initial roles as a Business Director and later as Director Strategic Planning. Thereafter, he took the role of Vice President, Sales & Marketing - Cardiac and Diabetes. In 2012, Mr Singh was appointed as the Country President for AstraZeneca Philippines. Post a successful stint in this role, he moved to the United Kingdom as Global Head of Established Brands GI/CV. 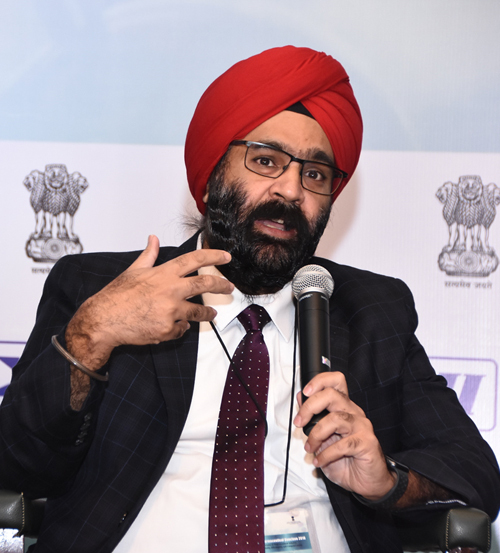 Prior to AstraZeneca, Mr Singh has worked with Baxter India & Eli Lilly. Mr Singh holds a degree in Economics from the University of Delhi. Dr Lahariya is a public health physician and policy strategist with more than 15 years of experience in health and other social sectors. A former academician, he has received trainings & gained extensive work experience in global health, public policy, and political economy of health. Dr Lahariya is widely recognized & acknowledged for his work on health systems strengthening in India. He has contributed to design and implementation of a number of innovative health solutions to improve accessibility and affordability of health services. Chandrakant is a prolific writer, who has been published in both bio-science journals as well as in mainstream media, with 200+ articles to his credit, on wide range of social sector issues. Dr Lahariya was awarded the Government of India/Indian Council of Medical Research’s prestigious Prof BC Shrivastava Foundation Award for the year 2012, for translating community based research into public policy. 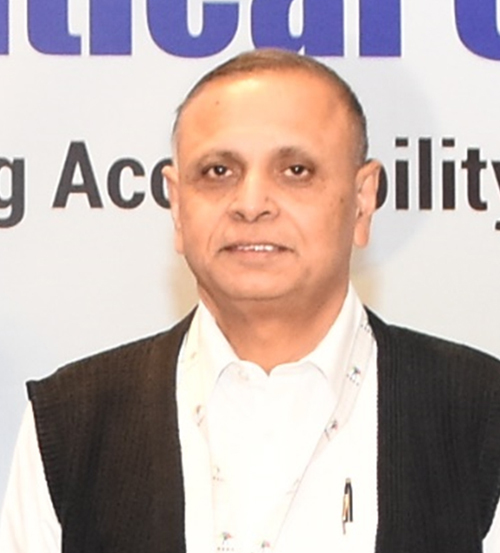 An alumni of Henley College, London, UK (Executive Development Program), IIM Ahmedabad (MBA), and St Stephen’s College, Delhi University (BA Hons, Economics), Ranjit Madan has over 25 years of experience in corporate sector in leading MNC’s such as Ciba, Mobil and ICI, growing running businesses and establishing start-ups, in India and overseas— handling the Asia Pacific region, based in Singapore. He has been associated with diverse businesses, ranging from pharmaceuticals to petrochemicals, and dyes to defence. His responsibilities involved General Management - balanced blend of strategic and operational in organisations laying emphasis on technical excellence. 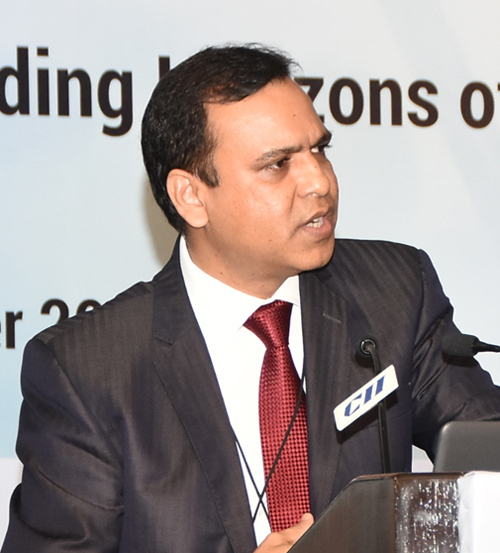 Prior to his current position of CEO of Life Sciences Sector Skill Development Council he has held top management positions of Executive VP, Samtel, Group; COO, Grauer & Weil (India); Business Head, Asia Pacific, Services BU, Ciba Singapore; Head Business Development & Regional Key Account Manager, Asia Pacific, Home & Personal Care BU, Ciba Singapore; Country Manager, Mobil Chemicals, India.